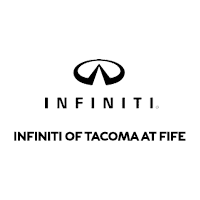 INFINITI of Tacoma at Fife carries an impressive selection of new and pre-owned cars, crossovers and SUVs. No matter what vehicle you might have in mind, we’ve got the perfect fit for you. If you’re looking to lease your next INFINITI, then our Fife dealership can help. We have an extensive collection of quality pre-owned and certified vehicles. Whether you’re looking for new or pre-owned vehicle, INFINITI of Tacoma at Fife is your trusted dealership. We look forward to seeing you soon. If you’re on the hunt for that perfect pre-owned car, then you’re in the right spot. At INFINITI of Tacoma at Fife, we offer a wide range of used cars and trucks to suit any shopper’s needs. You can browse our preowned inventory online here, or come straight to our Fife used car lot to start test driving. If you see something you like, give us a call at (888) 548-7711 or schedule your test drive online today. We look forward to helping you find your ideal car in (888) 548-7711. If you are looking to purchase or lease a new car, we have an unbeatable selection of INFINITI vehicles. You can browse our inventory online, then come visit us to start test driving. Whether you know exactly which INFINITI vehicle you’re interested in, or you’re just now beginning to shop around, our expert sales team will work to help you find what you’re looking for: your next dream vehicle! Our professional service and parts department in FIFE will take care of all your automotive needs. Our certified technicians will make your vehicle look and run as good as new. We highly recommend checking out our parts department, which only has genuine INFINITI components. If you are looking to make a statement, we advise you to explore our accessories inventory! We also serve Bonney Lake and Lakewood INFINITI drivers. We have a very large pre-owned business with lots of high-end, rare, and specialty vehicles that attract buyers from all over the country. Our out of state purchase process is easier than you might think, we do it all the time and we have hundreds of happy customers who have purchased their vehicles from us this way.